Except for the obvious one: Donald Trump thinks everybody is ripping him off because he rips everybody off. He can’t imagine anybody behaving differently than he would. So you get tariff policy that’s indefensible and amounts to shooting himself in the foot, though then again, in a few days, these tariffs will probably be replaced by something different. The episode “The Stand-In” really does achieve woke status. To have the guy who exposed himself to a woman he barely knew be the same guy who objects to a woman breastfeeding in front of him is surprisingly astute and pointed. It nails the psychology of what a #MeToo man might well think. 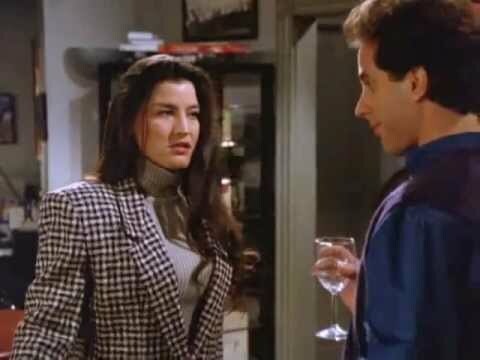 No coincidence that the?Seinfeld writer’s room had more women in it than was typical of rooms in those times. Well I’ll be goddamned, Ralph Northam got it done. I take all the things I said back. Well, maybe not all. Some. Anyway, they did it! Medicaid expanded! Go Virginia! It doesn’t exist and perhaps never will. If the midterms end without Democrats having gained either chamber of Congress then maybe. Sure, the lack of friendly billionaires has helped hamper it from happening I guess, but the bigger reason is, honestly, that the bulk of Democrats made a determination after 2016 to set aside internal debate and focus on opposing Trump and winning at the midterms. Dana Milbank is, so far as I can tell, entirely correct. With a group like Indivisible, there’s no?positive ideological component, it’s all about how you oppose Republican bills. And it’s why opposition to Trump has so rarely been ideologically inflected. It’s all about norms and collusion and all that. Towards the end of my first unhappy stint at?The A.V Club,?I remember an editor aggressively encouraging me, as well as all the other writers, to churn out as many news briefs and “Great Job, Internet” pieces as possible each day and to not take more than fifteen minutes to write them. The idea was to be as ruthlessly economical and efficient as possible. Quantity trumped quality. These pieces didn’t need to be good, they just needed to be good enough. Kind of a boring primary election here in California. I suppose there’s some drama as to whether both the governor and senator general elections will be all-Democrat affairs (FWIW I think the senate election will be and the gubernatorial won’t), but the top-two system, among other things, makes the first round less exciting if you know you’re going to have to make the same exact choice again in a few months.